I love this gongura thokku. My patti make this thokku very nicely. Here is the recipe. 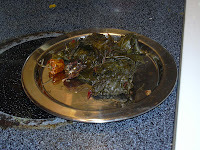 Preheat a drop of oil in a pan, fry red chillies to golden brown. 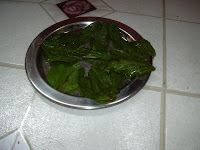 In the same pan, cook gongura till it becomes tender. Let it cool. 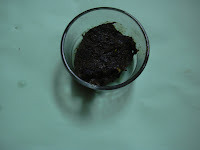 Now grind gongura leaves, red chillies, tamarind and salt into a fine paste. Now pre heat remaining oil, splutter mustard seeds, fry green chillies and asafoetida powder and add the grounded paste and fry it till nice aroma comes out. Store it in a air tight container. Can be used for more than a week if refrigerated. Dershana has passed me this wonderful award. Thanks Dershana! !